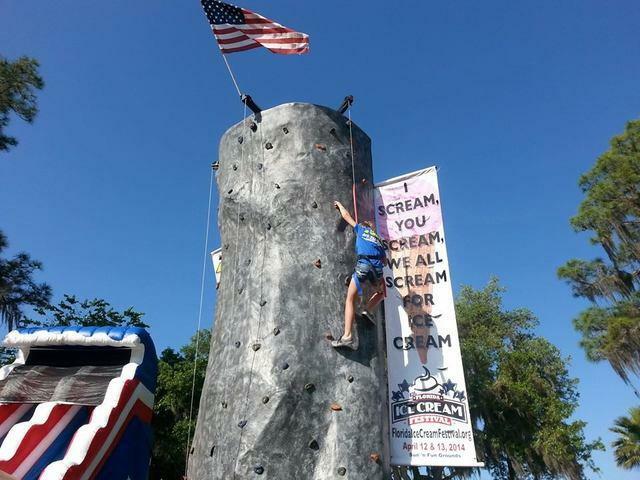 Nothing adds more excitement or visual appeal to an event than a rock wall! The wall is designed to challenge and thrill participants of all ages and ability levels. Lakeland Moonwalk's Rockwalls are about 24 feet high and can accommodate about 3 climbers at one time. All events include professional staff, equipment, and insurance.